The nerdy receptionist who was featured in the NBC comedy program The Office is no other than Ellie Kemper. She is popularly known as a comic actress and an author. Her fame glared in other roles including the Netflix comic drama series Unbreakable Kimmy Schmidt. As hilarious as she can be, she has taken her career up to the success ladder. Due to her excellent performance on set, she has added a lot of awards to her archive including the Golden Nymph awards for Outstanding Actress in comedy series, Webby Awards for the Best Actress amongst others. She is also a two-time nominee for the Primetime Emmy Award for Outstanding Lead Actress in comedy series. Here is everything you should know about her. Ellie Kemper is the second of four siblings and was born into a very wealthy home on May 2, 1980, in Kansas City Missouri. She is of a mixed ethnicity- Italian, English, French and German heritage. Ellie was raised as a Christian and is from a staunchly Catholic home. The comic actress lived at Kansas for five years before moving to St Louis alongside her family. Her elementary school days were at Conway Elementary school located somewhere in Ladue. As time went on, she continued her educational pursuit at St John Burroughs School where she was very active in theatre and improvisational comedy. In order to enhance her knowledge in theatre arts, she attended the Princeton University and obtained a bachelor of arts degree in English. Her outstanding performance in the school drama Veiled Prophet Ball earned her the name “Veiled Prophet Queen of Love and Beauty.” Consequently, she joined the school’s improv comedy troupe and also played hockey in the school’s team. She later attended the University of Oxford where she graduated with yet another degree in English. Ellie Kemper has appeared in a lot of movies including Mystery Team (2009), Cayman Went (2009), Get Him to The Greek (2010), and Somewhere (2010). Her outstanding role in the movie Bridesmaid (2011) where she played as Becca, stood as one of the best roles she has ever played. She later appeared in the 21 Jump street (2012) as Ms. Griggs. That same year, she appeared in the short film Rich Girl Problems. Apart from her roles on set, she has voiced in a few other movies including The Secret Life of Pets (2016), The Lego Batman Movie (2017), Smurfs: The Lost village (2017) and The Secret of Life Pets 2; a movie expected to be produced in 2019. Ellie was born into one of the wealthiest homes in the whole of Missouri, her ancestors laid the foundation of wealth and their children have played perfect roles in maintaining their wealthy status. The Kemper’s family have made enough fortune from their bank, Commerce Bancshares which has also played a part as the family heirloom. History can’t forget her grandmother, Mildred Lane Kemper, as the Mildred Lane Kemper Art Museum located in Washington University St Loius was renamed in her honor. Ellie’s great-great-grandfather, Willliam Thornton was also noted for his progress as a banker, insurance person, and a railroad magnate. Her father, David Woods Kemper ran the affairs of the Commerce Bancshares as the chairman and chief executive officer while her mother; Dorothy Ann Jannarone plays the role of a supporting wife and a coordinated mother. Carrie Kemper, Ellie’s older sister works as a television writer. She worked with the NBC sitcom in the comic drama series The Office. She also co-wrote a novel with her sister, Ellie, which is titled Monday Session, however, the book is yet to be published. 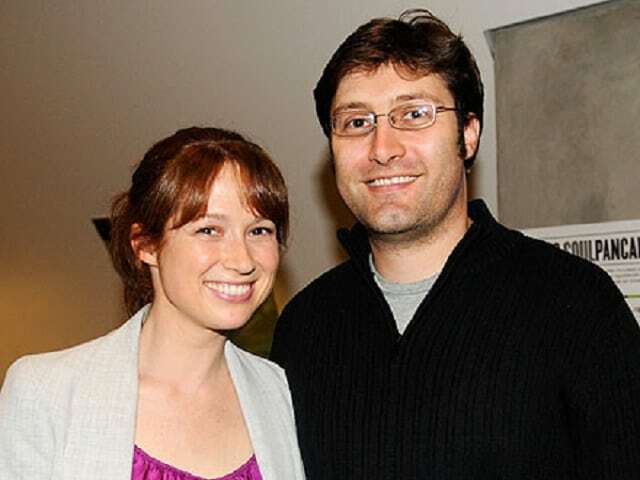 Ellie Kemper married her heartthrob Micheal Koman on July 7, 2012. They dated for long before they got engaged in early 2012. Their union was blessed with a son – James in 2016. Micheal Koman worked as a writer for Saturday Night Live and Late Night with Conan O’Brien and is also the co-founder of the Adult Swim series Eagleheart and the comedy series Nathan For you. The couple has announced publicly that they would raise their son as a Roman Catholic. Currently, it is been rumored that Ellie and Micheal are having marriage issues and have separated, although, we do not know if there is trouble in paradise or it is nothing to worry about. Ellie Kemper is surely a beauty to behold. She stands at 5 feet 5 inches and weighs 57 kg. Despite being a mother, she has managed to keep a slim body build. She measures 32-24-34 inches for her chest, waist, and hips sizes respectively. She has hazel eye color and carries brown hairs. Above all, Ellie Kemper is one of the endowed characters featured on MrSkin.com where she shows off her beautiful legs and her super curvy body.